We’d love your help. Let us know what’s wrong with this preview of Leaf by Joanne Van Leerdam. 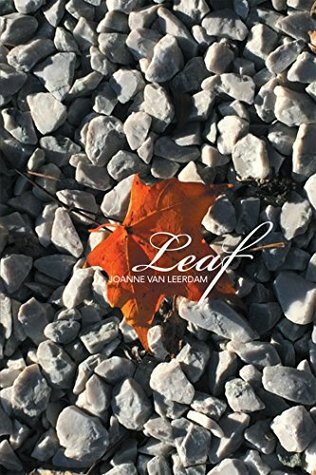 ‘Leaf’ is the first collection of poetry published by Joanne Van Leerdam. Often metaphorical and always unashamedly honest, these poems are expressions of her own experiences and observations about life and human nature. To ask other readers questions about Leaf, please sign up. "Leaf" is like a box of fine chocolates; you want to savor each one but end up gorging on them. At least that's what happened to me! Van Leerdam is a credit to the poetry and prose genre. Her book is expertly edited and paced. Highlights were "Lies and Manipulations" which told a compelling story; "Passing," a poignant portrait of a son and husband saying goodbye to the woman they love; and this romance author's heart was warmed by "The Lovers". Each word to be savored. One of my favorites was "Weapons of Mass Destruction," an unexpected segment of the book. It was the raw truth of the words. But each selection was an inspiration to me as a writer. I look forward to reading more of this author. To injure, murder, hate and curse. This being just one small taste of a full buffet. Loved it all. 'Leaf' is a gorgeous collection of poetry; words are strung together so eloquently, in a way that touches the soul. From the moment this book was in my hands, I couldn't stop flipping through the pages, engrossed in the honesty and truth of it all. Joanne has made me fall in love with poetry, all over again. I found that the poems were enriched with emotions we all have, but so few of us express. 'Leaf' has already changed my perspective on the challenges of life, and I felt a sense of inner pea 'Leaf' is a gorgeous collection of poetry; words are strung together so eloquently, in a way that touches the soul. 'Leaf' has already changed my perspective on the challenges of life, and I felt a sense of inner peace as I read these poems. 'Leaf' does not discriminate, and its collection of poetry would appeal to people in all walks of life. True confession: I’m not much into poetry. I’m probably not the first reviewer to admit this, and I’m certain I won’t be the last. That being said, I found the verses in Leaf to be heart-touching and compelling. Van Leerdam has taken tiny bits of her soul and used them to paint words of such intensity that even the hardest of hearts can’t help but be moved. Her poetry is real and now, and it speaks to everyone on one level or another. So even if you don’t think poetry is “your thing”, maybe give L True confession: I’m not much into poetry. I’m probably not the first reviewer to admit this, and I’m certain I won’t be the last. That being said, I found the verses in Leaf to be heart-touching and compelling. So even if you don’t think poetry is “your thing”, maybe give Leaf a try. You’ll find that you might just be into it after all. I know I did. Not the most ardent fan of poetry because I crave compelling characters wending their way through convoluted plots within the confines of a novel, Joanne Van Leerdam’s diverse poetry anthology, LEAF, diverted my way of thinking. Just as every leaf on a tree collectively embodies the main organs of photosynthesis and transpiration, every poem in LEAF embodies an emotionally-laden vignette played out in life as attested by words spewing raw honesty and realism. Ms. Van Leerdam puts everything on the line, along the line, and between the lines for the reader to fully grasp each scenario. Had been drawn from the depths of her world-weary heart. Transpiration from the other poems bequeaths truths about one-sided and abusive relationships, betrayal, unrequited love, enduring love, lies and manipulation, misery, taking control, salvation. The cover of this novel stood out to me, a simple colorful leaf among black and white pebbles, I think, is befitting this book of poetry. Now, I'm no poetry expert, but I must say that, Joanne Van Leerdam, really has a way with words. This book is well organized, nicely put together and the poems are spectacular. I normally don't read a lot of poetry, but I'm sure glad I gave this book a chance. It was a refreshing change of pace from the novels of epic story lines, and I read this book in one sitting. Each poem is expressed beautifully, urging me to read the next. If poetry is not your usual form of reading pleasure I encourage you to give this one a try. I give this book 5 of 5 stars and would recommend this novel. Well done, Joanne Van Leerdam, keep up the outstanding work. This well-written poetry collection is filled with love, loss, betrayal, sadness, and ultimately, rebirth. My favorite poems included are The Artist, Observations of a Traveling Pluviophile, Misery, Pharisee, and Old. Best line from Pluviophile: "There are no rainbows without rain." Love that. Many gems can be found in this lovely collection. I recommend it for anyone who likes melancholy, deep, thought-provoking poetry. This book artfully expresses aloud, the things that others tend to think in secret and leave unuttered. Joanne's rawly honest, witty and courageous writing, gives voice to our forbidden thoughts. It has the profound impact of reaching out to its readers with a the powerful message that they are not alone. They are travellers on a well trodden path, amid the company of a chorus of survivors who are now wiser than they once were and who can echo the encouragement "You're going to be ok". This is the first book of poetry l had read in years. I loved it. I savoured some, as l read them out loud to myself. Beneath this beautiful cover is a unique and deeply emotive collection of poems, with something for everyone. The pieces avoid clichéd lines and sweep together, beautifully expressed. This was good exposure to a different type of poetry book for me. I had a chance to examine why we go through the various types of emotions. We are not always happy people and this book brought that to light. I know that it is the type of book that each time I pick it up I might experience a different range or level of emotion. The book was well written and formatted. This might be a good book to help people process different types of hurt that they are experiencing. This was such a beautiful and heartfelt collection of poems. I truly enjoyed reading them. With this collection, the poet offers us a glimpse inside her thoughts. At times intimate and raw, Leaf has a dreamlike quality that resonates with the reader covering themes of love, loneliness, disappointment and despair. In 1.37 -" But sadness whispers its cruelest lies, when I'm alone in the dark for too long". The Tree - " The tree is drawn in fine grey pencil, the noose is drawn in black, An empty chair sits underneath the, knotted rope that's hanging slack". Van Leerdam's poetry is beautif With this collection, the poet offers us a glimpse inside her thoughts. At times intimate and raw, Leaf has a dreamlike quality that resonates with the reader covering themes of love, loneliness, disappointment and despair. 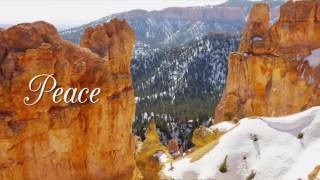 These poems offer thought-provoking perspectives on a variety of feelings or moments in time. There are contrasts between simple contemplation and thoughtful exploration of ideas, and between gentle expression and more sophisticated rhythms and images. I think everyone should buy a copy of this book. But I would think that... I wrote it! Some commonly felt emotions uncommonly expressed with a delightfully deft but light touch by a Pluviophile so that you will see both ends of a bright rainbow and also feel pain. I highly recommend this little gem as like all good poetry it whispers back to you after you have finished reading it. Joanne Van Leerdam is a poet and author of short stories. Her body of work consists of aix poetry collections, one general short story collection, a play, four collections of horror short stories, and a contribution to several anthologies. When she's not writing, Joanne is a teacher of English, History and Drama/Production. She is an active member and performer in her local theatre company. Her ho Joanne Van Leerdam is a poet and author of short stories. Her body of work consists of aix poetry collections, one general short story collection, a play, four collections of horror short stories, and a contribution to several anthologies.